The Intel B150 is a single-chipset design that supports 6th-generation Intel LGA1151 Core™ i7 / Core.. 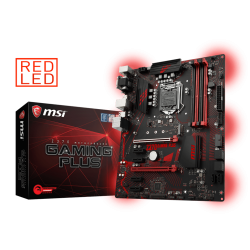 Most people would agree that Z370 motherboards impose a premium, especially on those who are buying .. Separating 19x PCIe slots into 3 groups with dedicated 24-pin, B250 MINING EXPERT can provide speci..
ROG Maximus XI Hero is the perfect introduction to the Republic of Gamers. It's a Z390 gaming mother..